Preening is a daily pass time for all cats. No hair brush necessary. 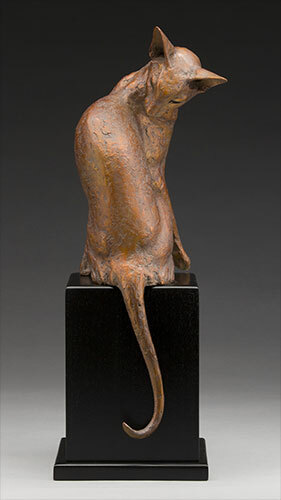 The lines and pose in this bronze are sleek and flowing. It is a perfect capture of all cats in our lives!